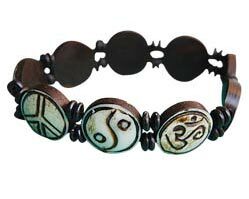 These big Om Bracelets are constructed of resin, so they are durable and won't cause discoloration of the skin the way that certain metal bracelets might. 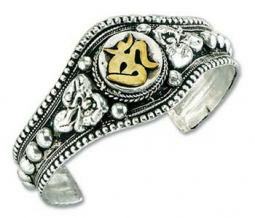 The individual pieces of these Om Bracelets are on an elastic string, so they can stretch a little bit, and thus fit better if you have bigger wrists. 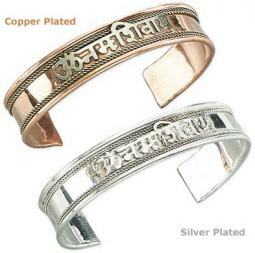 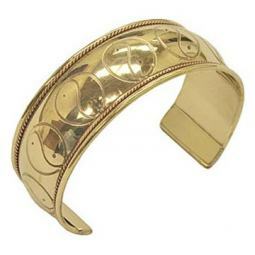 The Om sign of these bracelets is engraved into the surface of the bracelet.